The American Express Company, also known as Amex is an American multinational financial services corporation. It is publicly traded on the NYSE:AXP. 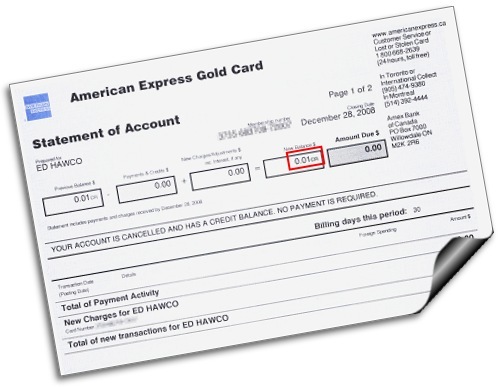 There are over 112 million Amex cards-in-force and in March 2015 annual revenues were reported as over US 34 billion. If you need help with your Amex card or purchase, call 1-800-528-4800. You may also find international contact phone numbers here. If you would like to contact the CEO, Kenneth I. Chenault by postal correspondence address your letter to him at 3 World Trade Financial Center, 200 Vesey Street, New York, NY 10281. Amex corporate phone number is 1-800-472-9297. William Fargo, Henry Wells and John Warren Butterfield started what is now Amex in 1850 in Buffalo, New York. Social presence and corporate social responsibility blog may be found on Facebook, Google+, Twitter, FourSquare, YouTube and Linkedin. 31 year customer here, and I am cancelling both my Am EXp cards due to poor customer service. It is all over seas and this company no longer cares about service they give to customers. SAD. Seeing how many other one-star reports there are here, I'm not sure what good this will do, but here goes. After paying off a bunch of debt and finally getting my credit score high enough, I applied for an AmEx card because of the entertainment benefits available to cardholders (better seating, presales, etc.). I was given the option to get temporary details for the card in case I wanted to use it for purchases before the physical card arrived. I noted the details, thinking I might need them for any kind of access to the account prior to receiving the physical card. I set up my online account yesterday and received an e-mail today asking me to verify the number I'm to receive text alerts at. When I clicked on the link in the e-mail, it took me to the main page and told me I needed to sign in. I attempted to do so, and no matter what information I put in, it told me it was wrong. So I clicked on the "Forgot User ID/Password" option and it asked me to input my card information. Glad that I had gotten a copy of the temporary information, I referred to and entered that information. It told me that the information was not right. So I called, from the phone number I have on file with my account. The automated system recognized my number and knew I was locked out of my account, asking if that was my reason for contacting them. I said yes and was transferred to a representative who asked if I had my card. I told him I only had a temporary card because I'd just been approved. He said he couldn't do anything without the physical card and transferred me to the tech support people because he said they might be able to. When I explained the situation (again) to tech support, he said they can't do anything without the physical card. I asked what the purpose was then of offering a temporary card. He said it's so customers can make purchases. I responded, "So, I'm able to buy things with the temporary card, but I can't do anything else with it?" and he said yes. So now I am locked out of my account until the physical card arrives in 3-5 business days. It's good to know that AmEx is all for you spending money you don't have even before they can get you a physical card, but they can't do anything else for you without one. Basically, I was told there's no customer service available to you until your actual card arrives. If I had known that, I would have waited for the actual card before trying to set up my online account. Good to know all AmEx cares about is me spending money that I have to pay back with interest and not their customer service. What a great company. I wish I could say they were the only company that didn't care about their customers, but I'm seeing it more and more lately. I don't know when companies stopped caring about their customers. I've worked in a lot of customer service positions in the past and if I had ever treated anyone the way I'm usually treated, I'd have been fired. ONE OF THE WORST CUSTOMER SERVICE IN WORD. REPRESENTATIVE SAY SOME THING ELSE AND DO SOMETHING ELSE. ONCE YOU FILE THE COMPLAINT. THEY EXPECT YOU TO KNOW THE OUTCOME . NO COMMUNICATION FROM THEM. THEY CANNOT COMMUNICATE WITH YOU VIA EMAIL/MAIL OR PHONE. I have an American Express serve card. I transferred $400 from the reserve to the checking account, and when I went to go withdraw the money , my transaction was declined. I was charged a $.75 declined fee, and when I retried to withdraw the money, it declined again and I was charged another .$75 decline fee. When I went back into my account, to see why it kept declining, the $400 was completely gone. When I called customer service, I explained what happened, and the rep was no help, and I was transferred. When I spoke to next person I was told that on their end it says the money was dispensed, I then explained to her that it could not have said that because the first transaction was immediately declined. She repeated that it says that the the money was dispensed, she also told me that it would take up to 45 days for me to get my money back, and that upset me, because this was my child care money. She also told me that I may qualify to get a provisional credit within 10 business days. I have read other complaints where people have stated that they were told the same thing, only to be told, 10 days later, that they would not be receiving a credit and basically oh well. This is completely unprofessional and anytime a customer has an issue like this, it should be taken care of within a reasonable amount of time. I was also told that I can file a dispute with the atm company, which is PNC bank. I called PNC and was told that was false and I need to dispute this issue with my bank, and that the only thing they can do is go out and fix the atm. I do not believe that this was the fault of the atm because right after I walked away, several people were able to use it with no problem. I even used it once I got off the phone with American Express's customer service. I believe this is an issue on the part or American Express and not PNC's atm. I would like my money back and I would like it back in a timely fashion. I am receiving calls daily , up to three times a day at times , with the caller ID saying---- American Express, with the number 623-492-7140 on my caller ID. I would request someone call this number and verify it is your company AND/OR tell whoever it is to stop unwanted robo calls. I will report this number if this continues. I will never return unsolicited calls and they are disruptive to members of my family who are quite ill. The calls are coming to the Billerica ,Massachusetts area. Thank you. Had identity theft. Filed a police report and know who the perpetrator was, who admitted to the crime. After contacting them 10 separate occasions and telling me my name would be cleared, Amex still has not done so after 6 months. I use the card all the times while I am out of the country. I made at least 15 if not more for a follow up on the statues ,But they keep saying they will call me back. I did update my personal information ,simply they said they only call on the numbers in my record. one agent her name is Diane id# KMNB190 ,she felt sorry and was trying hard to slove the issue. She send me an e-mail ( urgent request information ) she asked to send a copy of driver licensed ,then to call for a follow up ,then AX will ask for an address to send the new repacement card. i send copy of driver licensed , ID from the department of state ,real estate broker. copy of my passport,copy of my soical secuirty card, copy of my citizen ship ,JUST to prove my Identity. I called couples days letter, They kept saying someone will call you back. I am so tired of calling and keep asnswering all the same questions,The woerst part I gave them all the right answers to prove my identity . Still no one call me or at least trying to slove the issue through an e-mail. i got few emails to confirm by replying what is the 4 digit code,I did respond to them as well ,At this point I am so sick and tired to keep trying to slove it through phone calls. I called regarding my credit line since not having used the card in some time and my line was lowered. I could not speak to anyone in the United States and do not trust the person who would not tell me where he was located. With all the fraud going on today not being able to contact anyone from the USA is extremely disturbing. At this point, I tried to go online. Your site is so complicated I just gave up. 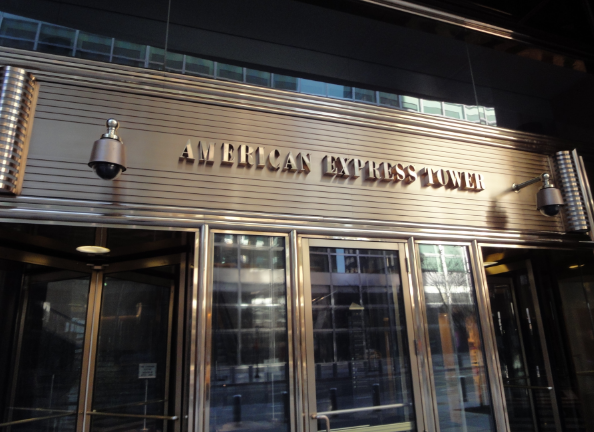 Do not have faith in American Express as I once did after this experience. Not sure if anyone else has had the same problem but I would like to speak to someone in English right here in this country. I was overcharged about $180 for Justin Timberlake’s concert on Feb 21, 2019 in San Diego. My seat was way up high in the arena-2 more rows it would hit the wall. I checked with people around me and they told me they paid between $50 and $80 for the same row where I was. On top of that The American Express sent me an email they offered that one-day presale of the concert in Dec 2018. I assumed that presale offer should be special but not a deception. I was not able to enjoy what I had paid. I am writing you today because you have not had the courtesy to respond to my letter to you of October 1, 2018. I find it unconscionable to ignore a customer who has a 43 year history with your company. 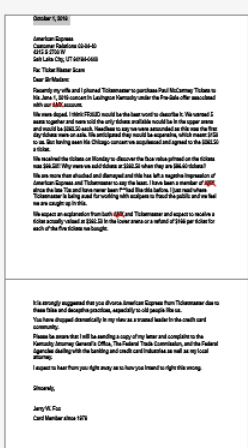 My issue deals with Fraud and Misrepresentation from Ticketmaster, your partner with Membership Rewards, and I will not rest until I get satisfaction to my complaint.I am enclosing a copy of the letter and advising you that if I do not hear back from you by MARCH 15, 2019 that I will file a complaint with the Kentucky Attorney Generals Office as well as well as with the Office of the Comptroller of the Currency and the Consumer Financial Protection Bureau. The ticket sales practices being implored by Membership Rewards and Ticketmaster are a blatant and egregious Fraud and Misrepresentation on the public at large and these practices must stop. Customer service - what is it? I had a conversation with someone at American Express back on January 10, 2019. I was told during that conversation that my companion certificate would be available on February 6th, today. When I go in to book my trip on Delta I find no certificate available. I call Delta, they tell me to call American Express, I do that. Now I am being told that my certificate won't be available until March when I renew my plan with you. I specifically did NOT book in January because of the conversation in January. I have to book a flight on April 11th, now the tickets will be higher priced. I am also told there is no customer service to contact to give them my story, that he opened a case and it will be handled internally but I, the customer, will not be told how the case is resolved. Is that customer service? If so it is piss poor customer service. Do the right thing, I know in this crazy world that is a bygone concept to many. I also know someone at American Express can stroke a key and transfer the certificate on February 6th, today, the day I was originally told it would be available. I was billed for an entire year for NETFLIX service and I was paying on another card for that same service. I only noticed it when they began billing me TWICE a month for the same service . The total was about $200. in erroneous charges , but they will only own the last 3 charges. That is unacceptable and i have been a customer for more than 13 years. I want to start off by saying I really love my American express card and have referred lots of family and friends to you guys. but today I am soooo disappointed. I have been on hold for 50 minutes twice without speaking to anyone after being transferred twice to this dispute department. I only want to file a dispute for 2 transactions on my account that was charged double to my account. I have never experienced anything like this in my life. I also called back to speak to a supervisor and the customer service rep said she was transferring me and instead she hung up. I am a banker myself and I could never treat my customers the way I have been treated today.. I am asking that this issue is addressed please. On Jan 16th, I received my advance tax refund. On that same day hackers accessed my account and spent $1100! I contacted the Amex Express serve fraud department right away. They told me I had to wait until the charges cleared before I could put in the dispute. So, I waited till Jan 18th then opened a dispute for three charges totaling $1100! I noticed that the charges were all done in Florida! Did I mention that I live in Houston! The charges were done on the same day that I was shopping in Florida. Now, I don't know about you..but I cannot be in two different states at the same time! I continued to call the fraud department during the 10day investigation period. At no point did they say that,there was documentation that proved it was me in Florida spending money at Walgreens and Publix. Frankly, I don't know how anyone can spend $505 in Walgreens! That in itself should be suspicious! However, after speaking to many people in the fraud department and them being unable to help me. On the 10th day, I got an email stating that my dispute had been declined and the charges were authorized. How were they authorized? I don't know anybody in Florida! I was in Houston, TX with the card in my possession. I did not sign anything in a Walgreens or a Publix in Flordia and I do not have a twin! I then started doing research to see if anybody else had, had this issue. I found many complaints around tax time about serve accounts getting hacked and their whole tax returns being taken and American Express serve denying their dispute and that money was just lost. That cannot happen in my case. I NEED my money to make sure my family is taken care of. I continuously asked to speak to an investigator in the back office that could explain to me what happened with my dispute. They told me, my only recourse was to write a letter to the address on the denial email. I then asked, how long would it take to get my money back after the letter had been received. They told me they had no idea what the timeframe. I explained that I really needed a provisional credit for at least half my money while they were going through the investigation process. They told me that, they would not be able to authorize any kind of credit. So, I then asked to speak to a supervisor and when she could not give me anymore information, I asked to speak to someone above her. She told me there was no one. I then told her to reopen the dispute because there is no way I could be in two places at one time, there was also an unauthorized email change on my account. She reopened the dispute and said it was going to take another 10days for them to decide what they were going to do on the account. They did explain that if the back office had any questions, they would call me. I then said, if they can call me then I can call them. But, yall told me that there was no way to contact the back office. They then told me that, they have a phone but they don't answer phone calls. I plan on writing a letter to the dispute resolution department and the better business bureau. I also am posting this complaint as well as posting on social media! This has to stop. People should not be able to take money from people through fraud and the victim be out of the money, Also, AMERICAN EXPRESS SERVE how do you have a FRAUD department that does not have the ability to investigate FRAUD! Why is there no PERSON that I can speak to, in order to explain how someone in a DIFFERENT state can shop and sign my name when I am not present???!!! past three months, the person leaving the voice mail is hard to understand but it seems they are looking for a person by the name of Julie James. There is not person by that name and I do not know a person by that name. The phone number they are leaving the voice mail on is 706 405-4503.
are looking for and I'm tired of having to delete their voice mail, some times more than twice a week. The number they are calling is only used for voice mail and never will a person answer that number. I would like these calls stopped. I have 3 AMEX Cards. Customer for 20 years. Have automatic payment set up on two cards. Added the third card to automatic right after I got it. Then I got a notice that the payment was late. So I called and we re did the automatic payment because the AMEX work did not put it in. At this point I was assured that it was all set and all good. 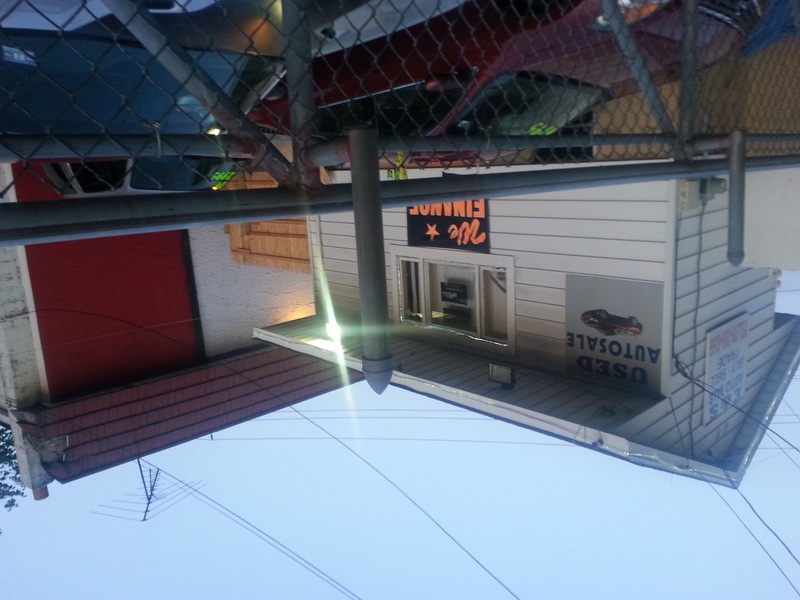 There was no late charges and no collections or credit bureau contact or info that would go out. BUT shortly thereafter I was notified by credit bureaus that it did go to them. I disputed it with credit bureaus on changed to and ruled in my favor but not the other and I also asked AMEX to remedy since it was based on incompetence or ineptness or lack of attention on their employees part on at least two instances. Nothing. My credit is still excellent but AMEX is a slimy company that doesn't do the right thing especially for 20_ year customers. Suggest everyone go to a different company. My automatic payments work now but after AMEX has done damage. Called your 800 number to get a final pay off figure . I payed off the amount , over 4000.00 now I am receiving a bill for 154.00 after I closed out the account for interest and penalties . I have been with American express for 19 years you lower my credit limit, charge me late fees for being late one month excuse me for having a heart attach , living alone, and not able to make the payment on time . Called the customer service line and was told there was nothing that can be done . and for being a loyal customer I get sorry your screwed.. thank you very much American express! I called in about an transaction on my account I didn't make and was told it would be disputed on Nov 21 for $438.80 and I would get my money back on Nov 26,18. I called Wed, Fri, and Monday and all the days I called I was told I would have my money back on Nov 26, 18. I spoke to someone today Nov 26,18 at 6am and was also told it would be back on my card by this afternoon. When I checked again it was not on there so I called and was told that I would not be getting my money back and also that they never did the dispute this after for the past 4 days that I was told it would be back today. I set up to pay my light bill today based on what your company employees told me. My son needs a machine to breathe so I can not be with out lights and because of your company and your employees lying to me over and over again I will be without lights and I still don't have my money back. You need to train your employee so one has to go through this again once my money Is return I will not be using your company anymore. I have had my card for a few years now. And I’ve had somebody hack my account and take over $500 out of my account and send it to a William Lomax, I called customer service 4 times that day to have it resolved. Got told there was nothing they could do, and that if I wanted a new card I had to pay $30 for it. But I wasn’t going to get my money back. And I needed to be more careful using my card at places. Finally they said I would get a new card and I have to wait 2 weeks to get my money back. Since then I’ve had nothing but issues with my new card. It keeps saying it’s not authorized at several locations. But my card keeps getting charged. Every time I call customer service I keep getting told that there is nothing that can be done. I have to wait 8 days for my money to be released. This morning it did the same thing. Called them and the lady just kept telling there was nothing that could be done. I had to wait 8-16 days to get my money back even though it wasn’t authorized and the stores said my card wasn’t charged but it was. I asked to speak to her supervisor and she just kept saying had to wait 8-16 days. I had to ask this lady 4 times to speak to a supervisor before she finally let me speak to one. The supervisor then canceled the transaction and proceeded to tell me I needed to choose my stores carefully next time. They are very unprofessional, I do not appreciate this. I’ve had nothing but issues with your company’s services, and costumer service representatives. Something needs resolved. My money shouldn’t keep getting taken. I will take my services elsewhere if this isn’t resolved. I placed an order on 10/11/18 for 47 gift cards. I received a phone message on 10/18/18 from Andrea stating that my order was cancelled due to a technical issue.My order # was 000036206. I was told to reorder. I was given a promo code to waive the fees on a future order. I already had a promo code on this order to waive the fees. I was told to use rush shipping on the new order and to call 1-833-205-8622 and they would waive my shipping cost. When I called Customer Service, the representative checked with someone else and said my order had not been cancelled and I would get it. I called back a few days later and they insisted by order was processing. Still didn't receive anything. I called maybe 2 more times and a rep told me a case number should have been given so a representative from order management would call me. (case # 1593403) Never got a call back. I called again. I wanted to speak with a supervisor but the girl would not get me one. A new case number was given to me for someone else to call me back. (case # 16049035) Still waiting on that call. We really needed the cards so I placed a new order thinking that Andrea did know what she was talking about. I did receive my order but of course I am paying the shipping of $15.95. If our Customer Service/Order Management Dept was like yours customers would be going elsewhere. Thank you! 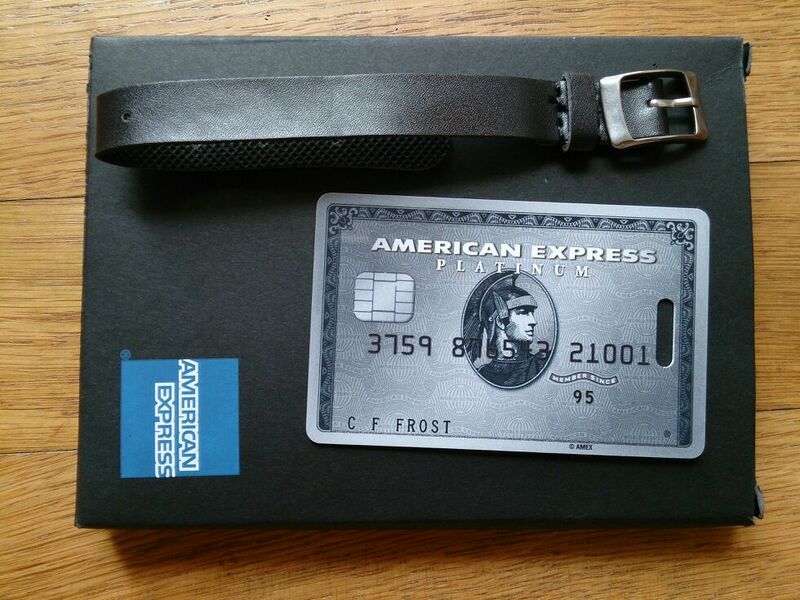 I misplaced my AmEx card yesterday (only to find it as soon as I hung up with canceling it!) so cancelled and was promised a replacement card today. Did not receive and was basically given the run around when I called (3) times to try to get answers. I was finally told that I am getting the card Monday or Tuesday of next week - I told all representatives that we use the card for everything - and "next week" delivery date was unacceptable to me when I first reported it lost so was promised next day delivery. I was told today of a "huge back up" but have no clue what that means? At any rate, I am usually very happy with everyone who helps me at AmEx whenever I need help - today was definitely not one of those days. I kept asking the rep and his manager why I was not assigned a tracking number every time they said it might arrive today and they FINALLY admitted that it would not be coming after about 15 minutes of back and forth. The delivery delay is very unfortunate and I am very disappointed in today's treatment. Thanks for listening. My name is Ramon Milligan, I've been a cardholder with American Express Serve for about ten years or more. Late in the month of August I noticed unauthorized charges on my account, I attempted to call customer support on August 20th to file an initial complaint however my calls were disconnected on multiple occasions. Me figuring that there must be a technical issue with the phone system I attempted to contact customer support on numerous occasions throughout that week to no avail which lead me to believe my calls were deliberately disconnected. On the 28th of August I was finally able to file my dispute with it having been delayed 8 days from my initial attempts to do so. I contacted the dispute team to discuss this inconvenient delay in the filing and processing of my dispute however they were unable to provide any resolution. I inquired regarding the delays affect on any provisional credit and I was told there's nothing which can be done. I've been fortunate enough to have a business partner whom is in investor with AMEX, we discussed my issue and on the condition of anonymity I was provided your information to express my concerns. I hope that you will be able to help me in this regard as my funds not being available is preventing me from buying school books which ultimately may come with negative recourse to continuing my education. On June 21, 2018, I chatted online with a customer service representative related to a charge I wanted to be moved to pay-over-time. As you can see from the included page, I asked if I could now remove that charge from my current amount due and he replied yes. That’s what I did when I paid that month’s bill; I deducted the $428 from the total amount due. I thought that this was the end of the story. Fast forward to August 7, 2018 I tried to make a purchase on Amazon using my card and the charge wouldn’t go through. I called American Express and was told it was due to my account being late. I inquired as to exactly what was meant by that as I had paid my bill on the 21st of June. I was informed that I owed $428. I explained what the online chat person stated and she said that that’s not correct. I informed her that I had a snapshot of conversation with my asking could I deduct that amount. She said it was incorrect what I was told as the amount had already by put in pay-over-time. She apologized for getting the correct information. When I asked her if I could pay the past due amount, she said no and that it had already been added to the next bill and I would have to pay the whole amount. I told her I couldn’t do that as I didn’t have the funds to pay the next bill in its entirety. She explained the card would be on hold until I paid the entire bill of approximately $1700. On or around August 16th, I received a call from American Express telling me my account was past due. I explained again what happened. The gentleman asked could I pay the past due amount of $428. I told him what the previous customer service agent had stated and he said that was incorrect; I could pay the past due only. I told him it was a moot point as I my washer and dryer died and I just had to purchase a new set. He then kept pressuring me to set up the pay date for the next payment. I instructed him that I would do so on the 21st. Around this same time I received 2 letters from American Express stating that I was past due and how that could affect my credit and how I was losing pay-over-time privileges for the same reason. I understand that you want people to pay their bills on time and in their entirety. But receiving bad information from you customer service agents—twice, isn’t my fault and really should be of concern to you. I’m the one being penalized by this. It is my request to you to have your agents on the same page when discussing things, and to have them sound less bored when you’re trying to explain an issue with them. I applied for an AA card because I was the introductory 60,000 points being offered and was approved not knowing that I have to meet a 3000 dollar spending limit in 3 months. Now I try to book a vacation and American Express Supervisor Jo employee # 25278 states before I can even finish my sentence that she cant do anything for me. To top it off I tell her I didn't understand specific wording in the disclosures when applying and she in turn stated that it wasn't her problem I didn't read the disclosures and ensure I understood them prior to agreeing. Very unprofessional and did not even try to help. When I requested to speak to another supervisor Jo employee # 25278 put me on a long hold about 10 minutes to come back and state there is nobody to speak to me and that she noted my account and the "lady" that will be contacting me back will know what the situation is. Jo in turn stated I will get the same response from any supervisor I speak to so in other words don't waste my time. This is disgusting to say the least. I rented a car on 28 Jun 18 from Enterprise Car Rentals and returned the car the next day, 29 Jun 18 with no damage and a full tank. I paid for the transaction with my Master Card. There was 150.00 returnable deposit required at the time of rental. American Express Serve held 172.50 of my funds for this transaction and has not released my money back to my account as of this time 28 Jul 18. I have been told after multiple conversations with customer service reps for AMEX Serve that there was nothing that could be done to correct the problem manually and that it would be 30 days before the problem corrects itself. During these phone calls I have placed on for periods of time as little as 5 minutes to as long as 1 hr and 16 mins before the connection just terminates and drops the connection. You can listen to the these calls and at no time did I ever cuss or berate any of your CSR's. Its non productive and does not foster a remedy for a solution to the problem. I am semi-retired and my funds are limited. This transaction was necessary due to the fact that I had surgery on the morning of Jun 29th and due to hospital policies I could not drive myself or use public transportation for my return home. Since I don't have a working vehicle my wife and I had to rent a car, Which was promptly returned after getting me home. $172,50 might not seem like much to you but that is a lot for two people on limited funds. The lack of not be able to use these fund snowballed and caused us a lot of problems paying our bills. We have incurred late fees and damage to our credit. I know this complaint won't change anything for me but maybe it will prevent this from happening to someone else. I was told today that my funds would be released tomorrow, 29 Jul 18 after 3 p.m. If this does not happen, then you will hear from me again to address this ongoing issue. I was a few days late on making a payment, and while I will grant that American Express is within their rights to give me a call, I noticed something. Not only were they blowing up several of my phones upwards of 10 times a day, each. But that it was a robot on the other end. For the record, I'm running a business, and so I have to give my business greeting. Anything longer than a simple "hello" had their robot hanging up on me. They blow up my phone, and then hang up on me! This is wasting time, aggravating me, and wasting my companies resources. At this point, in my opinion, it counts as harassment. If it were just another private citizen calling 10 or 20 times a day, and hanging up, thats exactly what it would be, but of course, big corporation, no one is going to take responsibility, or give a crap. My name is Khalid Latiki, and I am a loyal customer of your company for many years, but what happened to me on July 21st was disgraceful. When I was at Macey's Dept. store and tried to pay for for a purchase of around $72.00 I was told my the cashier that my card was declined. I couldn't believe it, and told him that this never happened with this card; especially in my home town. He tried to run it again, but in vain. At this time everyone around me was rolling their eyes at me, and felt very embarrassed and totally ashamed of my self. I had to step to the side to let other people pay while I called my brother who is authorized to use his card. Later, at Ross stored, when I tried to pay again, the same thing happened to me. People were looking at me like I stole a credit card, or I am trying to do a fraudulent transaction. This stressful situation ruined my whole day, and wasted my time, besides the humiliation and lack of trust I experienced front off other people. American Express let me down in a very bad way in my own home town. We are not talking about an international purchase! I am shopping for another card, and I will consult with my lawyer if I have a case when he returns from his vacation since this affected me emotionally, and my credit line was away far to reach so there was no reason to decline my purchase without any warning! I called your poor customer service who lacks empowerment and was disconnected upon couple times, but I can see the poor rating on this website that explain this lousy company that cares only for the billions $ it ears yearly! It took your fraud protection 24 hrs! I have never experienced anything like this in my entire life. I used my card for a car rental and when it came time to return the rental my job said we need you up there for one more week. I call the rental to extend the rental, and they use the card on file. That was no problem. The problem happens when I return the car and the rental was paid but there was still a hold on my account for the second transaction. Call CS and they refused to removed it even after I went to the rental place and they told them that they have no holds on the account. Amex still refuses to fix it and told me I have to wait 30 days. This company is the worst CS ever and people need to stop using this card until policy is changed on all cards Amex offered. Several years later when attempting to do a refinance on our house we receive information that American Express had a Lien on our property. Further investigation showed a Law Firm in Las Vegas filed court action and we requested documents through the Title Company....we finally obtained a copy of the Lien along with a "Proof of Service" notice signed by a Process Server. We were never served and further investigation led us to believe both the Law Firm and the Process Server were extremely questionable and held in rather low esteem. Trying to disprove their claims and actions would have cost us more than the claim (lein) so we simply paid the required amount to American Express. American Express received payment in full April 19, 2018 and we are still waiting for our Lien Release. Tracy Clayton with American Express and I discussed this issue on May 16, 2018 and again on July 2, 2018, each time I was given one excuse after another for the delay....on July 2, 2018 I was told it would take 60 days (2 months) from my original contact with Tracy for the Lien Release to reach me....that would be July 16, 2018....today (July 17, 2018) I called at 3:53 pm and the department was closed? Still no Lien Release! I would prefer to rate our experience as a "No Star". The issue started several days ago when I (my wife) requested an increase to our American Express Delta Card. In doing so she was told that we had a $35,000 Line on our AMEX Blue Card, which we never use, and American Express could move a portion to our Gold Amex Delta card (which had a credit limit of $8,000). She was told I would have to approve via a call to Amex. When I got home that day, we called back. The gentleman I talked to said he couldn't just move credit from the Blue Card to our Gold card but then suggested I get a Platinum Card. I agreed and as he was trying to set it up, he couldn't handle it (he was unqualified to handle the process) so we hung up and called back, "Strike One". The next person we spoke to set up the Platinum cards and all was well. I received mine and my wife received two. Yes, two Platinum cards (in her name and two different numbers). Today, July 14th, we called AMEX and asked to have one of the cards cancelled, the card that was not her normal account number. In doing so the gentleman this morning said, and I quote, "Opps, I cancelled the wrong card. Can you use the other card?" My wife has all of our auto-drafts on the cancelled card number so, no! In telling him no, he said, "Please hold, and three minutes later a woman came on the line and said she would need a supervisor to reinstate the card number matching the number we use (auto-drafts, etc...). She said my wife would get a call around 9:00 AM EST. At 4:00 EST, still no call so we called back, went through the same BS we do every time with AMEX ... "This call will be monitored for quality assurance". HA!!! That's a joke. I beg of you to go back and listen to any of the five calls we have made and I dare you to not fire everyone that "helped us"! Anyway, my wife was finally told, after talking with another person, she requested a supervisor, "Amex can only send you a new card." So, we have to change all our auto-draft accounts because, ooopppsss, your "Customer No Service Rep" deleted the wrong card! No. So, we cancelled our AMEX DELTA CARDS. Seems like AMERICAN EXPRESS would make sure their customers were happy! My wife's card number (Barbra W. Grayson - 3798 008062 31029) and the card she wanted cancelled (still not sure why she got it as well - 3798 008062 31011). PLEASE, go listen to the last few calls we made today! You'll find them to be poorly handled, just as we did! I was going to purchase an item that I had to bid on ebay when I submitted my amx serve they told me that it would not go through and when I pulled it up there was only $10.00 on the acct when there should have been $25.79 so I won the bid and they gave me till 4;00 pm to make the deal or the other person was going to receive it by default. So I found out it was my trial for Netflix when I called them they apologize and credited my serve acct $15.05 it didn't show so I called amx and customer service said they couldn't do anything so I asked to be transferred to there department that handles these things so they put me on hold came back on after 12 min and said I would be speaking to Jacqueline so she came on the phone and said hello my name is Jacqueline how can I help you so I told her my problem and her words to me were to call back Netflix and cancel my cancelation call her back and she would put the $15.05 back on my acct while im on the phone with her. So I did what she told me to do when I called back Netflix said whaaaaaat are you sure and I said that's what she told me to do. And they said okay. S they canceled my cancilation. Then I called back and ask for Jacqueline and they said we don't have A Jacqueline here. So this woman who told me and the customer service rep that this woman was named Jacqueline were lying to me. So they said I had to wait till 06/15 to get refunded my $15.05. So needless to say I lost the bid. Now if you look Ive been with amx serve for meny meny years and as soon as I get reimbursed Im calling back to cancel my amx serve acct. And I told 4 friends of mine who also have amx servecards through my recommendation anyway I called them and they will be doing the same thing mon they will empty their accts and calling you like me and get rid of that f------ck up card. LOYAL cardholder since 1998. Senior citizen on fixed income. Did not want to pay $195 fee for card but very willing to downgrade to keep account. To do this had to pay $16 of the $195. So refused to waive this $16.00. So for $16 you lost a loyal customer. AND it was reiterated multiple times that I would lose 2 companion tickets and all my sky miles. So be it. A shame that loyalty is not reciprocal. This conversation took place on Monday, April 16th. Had it occurred on Friday, April 13th, (my anniversary date according to the agent) there would be no charge. So our relationship has been terminated and I’m sure we will both be better for it. I had great difficulty in retrieving my Amex Rewards.I was assured by a supervisor that a check would be mailed to me within 4-5 business days.As I did not receive it I called and asked for a level two supervisor who rudely told me that I would be able to apply the Reward to my next Amex bill.When I told her that I didn't need any special favor to do so,the tone of her voice was so belligerent that I told her that I was shocked to be spoken to like that.I asked her if it was possible to expedite a check(as she said the request had to be redone),as I was forced to borrow money to repay a loan that was due.She refused and couldn't care less that Amex had made the error.When I asked how Amex would compensate me for being put into a situation that was not of my making,she replied,"Is there anything else I can do for you? "I called your customer service in Manhattan and was told to email the President of Amex,which I did,but have received no response.Needless to say,i am very upset and shocked with the inept and disrespectful treatment that I received. We called after receiving two new credit cards to be activated January 31. These calls were made because we wanted to consolidate two accounts into one. We were told that we needed to cancel our Surpass card and use our new Ascend card that is taking it's place. We followed her advice and did so, made about 20 calls rerouting automatic payments from the cancelled cards to the new Ascend card. Late that afternoon when we attempted to use the new card it indicated it was not authorized. When we called we were informed that we didn't have the new Ascend card and that we should have kept our Surpass card till it expired. So after some discussion and her convincing us that was the case, we recalled all the businesses where we had automatic charges to redo what we had changed the previous day. We asked to speak to a Customer Service Supervisor to make note of what all had happened, were told we'd have to leave our phone number and they'd call back. That hasn't happened. To say the least we were able to catch it early. However a couple of the automatic charges may have hit the card that wasn't activated or was canceled. If you're still reading I just wanted to say how very frustrating this entire process has been for us. Very much so and very time consuming as well., The least would have been a call to say something regarding regrets that we got someone who didn't know what she was doing. This situation has certainly influence both my wife and I and will influence whose credit cards we use in the future. Customer Service continues pretty important in our circles. Thanks. I had an American Express Delta Platinum card. I called about the annual fee. I was told that I got a companion gift. I have had this since 2012 and did not know about this. When I asked if I could get any of them back or the annual reduced nothing could be done so I canceled. While I generally used to love American Express, over the past year or so they have become an unreliable bank with mediocre card options and limited transfer partners. A few years ago, I told everyone that AMEX is the best due to the vast transfer partners, amazing signup offers, and generous cards. While some of that still exists today, the customer service American Express is providing is rapidly declining. In my eyes, the one area where AMEX continues to shine are the Centurion Lounges – that’s mainly why I still keep my Platinum Card. She got this same email 5 times for all of her credit and charge cards – meaning they were all cancelled. Naturally, she called AMEX as soon as she could because the email didn’t explain why, and she was instantly connected to the worthless Financial Review department (a.k.a the rudest, most unreliable, and incompetent agents ever). She was told to call back later because her “account manager” was on another call. WTF?! Not only were her cards cancelled overnight.. now she has to wait to find out why? What kind of bank does this? Apparently only one agent works your “case” and you can only speak to them. When she finally got connected to her account manager, the manager rudely (in a very threatening voice) informed her that she cancelled all of her cards because she was using PayPal to pay someone that AMEX believed my friend knows personally. Basically, American Express was telling her that she is manufacturing spend and the other person is paying her back. My friend sent one payment of around $500 to someone she agreed to buy a piece of furniture from (a friend of a friend) and yes, she knows the person she bought the item from personally but under no circumstance did they pay her the cash back. What the absolute F#$k, AMEX? The manager went to further “explain” to her that this was illegal (it isn’t) and that she would have “problems” with other banks. I wasn’t on the call so I can’t confirm exactly how the call went, but I trust my friend 100% and when she called me crying this morning about what happened she more or less told me what I’m writing. What kind of bank closes all cards overnight because they suspect something without even verifying it first? Look, I understand if it were to trigger a Financial Review… but an overnight cancellation? You’ve got to be kidding me. My friend asked if there was anyway to re-open the cards and explained what the $500 purchase was for… but guess what the AMEX agent did? Said “no” and hung up! My first instinct was to tell my friend to call Membership Rewards and transfer all of her 300k+ points. Thankfully, she was able to do that… but oh my god. I’ve lost my trust in American Express completely now – cancelling all cards of someone who sent one payment via PayPal for something she reasonably purchased is ridiculous. Do you really think she would manufacture spend through PayPal at a rate of 3% in fees? I don’t think so – and it was one, single transaction! All in all, no bank is like it was a few years ago. All of these restrictions on signup bonuses, accounts being cancelled overnight, and reduced redemption availability makes me sad as it is harder than before to earn and burn miles. A phone number, 323-999-9874, Los Angeles, CA called me twice. The second time I picked up, the opening message was on behalf of American Express. The representative gave a greeting and I asked how my phone number was obtained. The person responded with a sexual comment, most definitely inappropriate. Not a very impression on American Express. 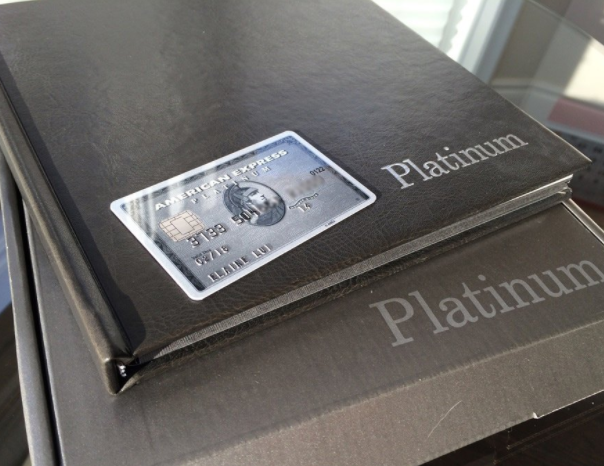 I have been a customer of AmEX since 1987, and have had several cards with the company including Platinum cards for my business. In 2015, I closed our office when it was acquired, and cancelled the two open platinum cards. One had reoccurring fees and remained open, despite requests to place them on my regular AmEx gold. This issue escalated last month when I received a new statement with a renewal fee on my 'closed" platinum account. I called and asked for it to be removed and to have any open charges paid, upon receiving a new statement showing no renewal fee. Again, reiterated that this should have been done months ago. Since that timeframe, I have received up to 8 calls from the collection department - each time I explained the situation and asked again for up updated statement showing final amount and no renewal fee. The calls have been excessive with no resolution - so called again today, wasting yet another hour to fix this. Your teams are not connected, they do not seem capable of pulling up account notes detailing the issue and are unable to resolve issues. I called customer service and spoke to Rocky, who then got collections involved - I spoke to Sajal today, 9-5-17. Sajal stated I seemed upset and asked if I would like to go and get a glass of water. Seriously?!!! How rude - I suggested he take an updated course on customer service, though I am unsure with such an attitude, that AmEx even has one. 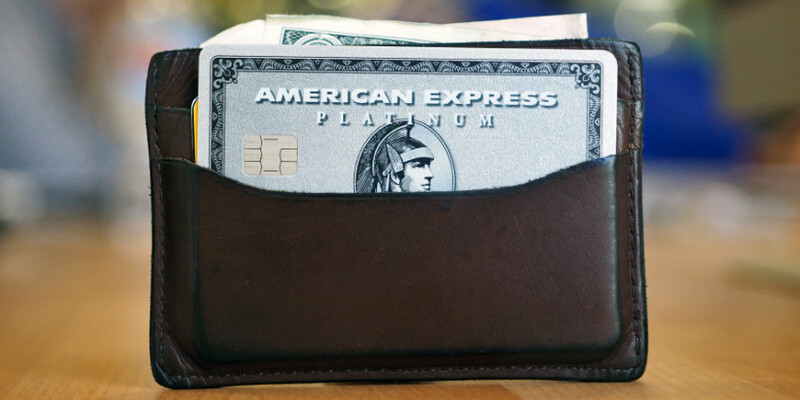 In a time when so many other options for credit cards are available, and given my loyalty with the company since 1987, and high spend rate, it seems to me AmEx would jump at the opportunity to serve. The days when this was so seem to be over. I am very disappointed with your firm, your lack of service and inability to solve a request that was made "repeatedly"; you've wasted a great deal of time for a very small issue and earned my incredible distaste for your firm. I truly miss the days when AmEx was the company to be with and when issues were solved magically. I just spent 1/2 hour trying to get through to technical support for my online account. I was twice transferred and then hung up on without ever getting to speak to a technical support person. I cannot access my online account services and a number is given to call which tells me it is only for debit cards and then transfers me to customer service for cards...who hang up on me. I call customer service direct and after 10 minutes of holding I get a rep who transfers me to technical support...and the line goes dead. I have never experienced this type of poor service at Chae, BOA, Santandar, PNC, Capitol One etc. I have had this card since 2006 but they have gone downhill and it is not worth the stress of bad service! I used amex to take a vacation. Huge disappointment. We were told that we had to cover a leg of our flight on our own, because we were leaving early. No problem, we wanted to have a few days elsewhere. What they failed to tell us was that our flight from Europe to the US was now negated. So we had to buy two tickets to get back home. Really not a cheap "mistake" on their part. When I spoke with the travel "expert" they stated that everyone knows how flights worked, and that yes it was negated. When I spoke to the manager she stated that they "thought' we understood what they meant. However me "thinking" that we understood doesn't count. In the end they did nothing but add more frustration to the issue. Probably loosing multiple accounts now, not that they care. I purchased a vehicle with my American Express card the car was a lemon and I never received the title for the car so I'll return the car to the merchant and I put your new dispute and American Express close my dispute and the matching favor and told me there's nothing else they could do that help me it was under this. 11 times sense 2015 or when I call to ask someone about this they tell me there's nothing else they can do to help me and I'm stuck. I spend $6,690 on this car I am getting the run around with my mother's breast helping me get my money back from this merchant. 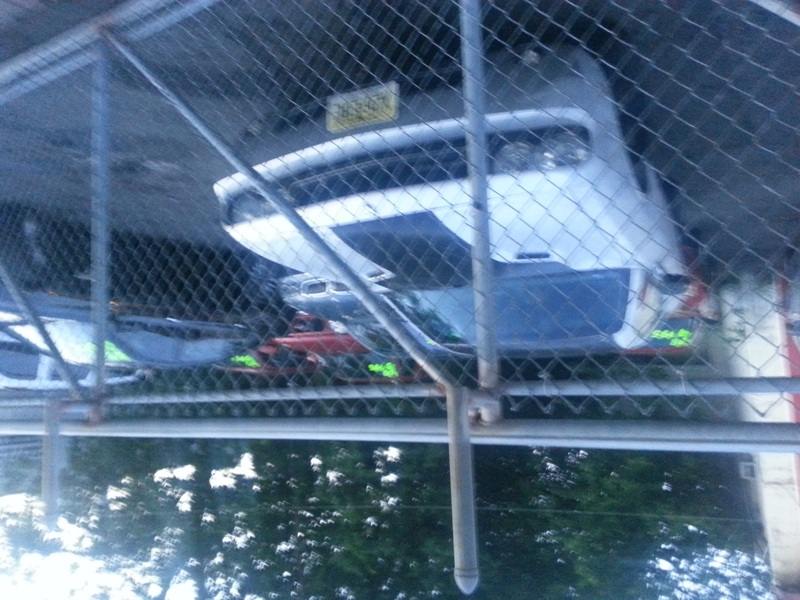 The car came with a warranty did not cover anything that would be fixed I'll contact the consumer affairs the Better Business Bureau New Jersey DMV and the Federal Trade Commission and the Ripoff Report the deal has been doing this too many people. I've been with American Express 2 years now and it doesn't make any sense this has been going on this long I'm ready to close my account with American Express and fill lawsuit against american express and the Dealer because this is ridiculous I shouldn't have to go through this and I send all the paper work for the car sale and the warranty paper. I have a platinum American Express Card. After pre-paying for a Christmas vacation 8 months ago, I just came to find out that the Hotel reservation which was paid through American Express's Travel Department was cancelled due to damage caused by Hurricane Matthew. The Hotel had been reaching out to American Express about the unfortunate event, but American Express never reached out to me to inform me of the cancellation. The Hotel was a 5 star property part of The Fine Hotel And Resorts Program. We now have no Christmas vacation because American Express Travel is so large and disorganized they forget to notify me. Amazingly they're indifferent about trying to make it up to me. I strongly urge people to never use the American Express travel department. I'm in process of canceling my American Express card after 29 years. Today is November 11th and I've been waiting on an additional card for an authorized user since October 26th! 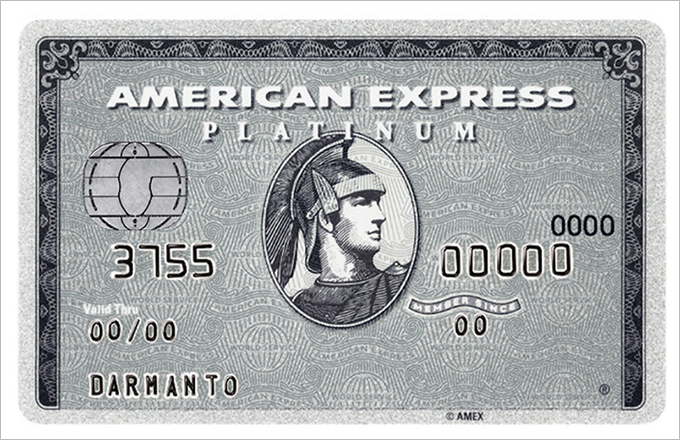 I'm a Platinum Card Member and have been with AMEX since 2002. Everything has been documented as to how many times I was told "it would be delivered tomorrow". I'm fed up, shocked and amazed to have had this experience over such a stupid little request. If you care to learn more, I would be happy to call and give you my card number so you can see it for yourself. Not supporting the card holder when there is a dispute on and the dispute should of been open 12 times. I was getting told ever time there nothing else they can do to help and still have to pay it back witch is not far at all when I retured the. 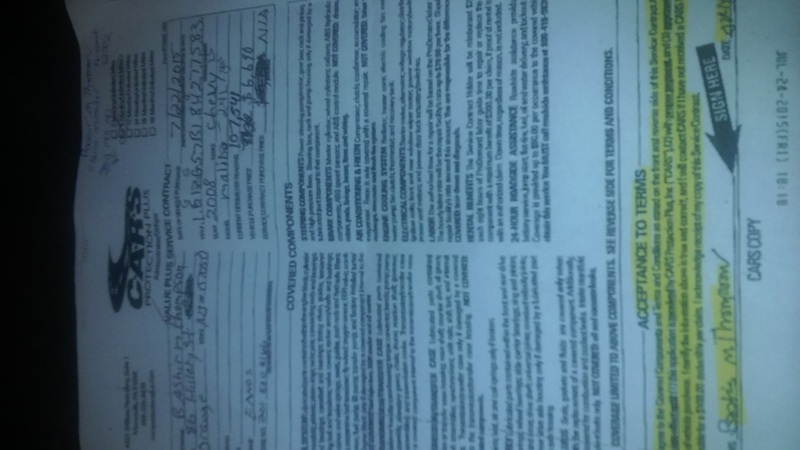 Car was snt to the dealer on Aug 22 2015 and I took pictures of the car on his dealership and I send tow receipt to American express. American express is the worst credit card company ever and I will be closeing. My account soon be I have 4 other credit card and I never had this problem. Will be calling my attorney to fill a lawsuit against american express and the car dealer. Why are there so many business on cape cod, MA that do not take Amex. This is a vacation area with a lot of restaurants and golf clubs. I love Amex but nobody takes it here. Has there never been a rep that covers this area. I have put in several calls to headquarters with no response. My balance transfer was sent to wrong company and I provided Amex the correct information. They are not willing to correct their mistakes and leaves me with a huge amount of $869 to pay even though it was not paid for my account. I have been a member since 1982, using the platinum card. I retired and applied for the new blue A/E card. I was turned down and don't understand the reasons. If someone could help me contact Amex to understand this at a corporate level that would be great. So far customer care has not given me a sufficient response. It is disgusting that this company would outsource its fraud department. I had an incident today that took me two hours, multiple calls to agents that did not understand English as it is not their first language and argued with me in endless circles. The issues finally got resolved after I reached a person in Ft Lauderdale, FL not somewhere in the Philippines or another country. Amex be ashamed that you outsource your services. American Express executives must find customer service reps for your Fraud department that understand customers beyond the basics to deal with English as a first language customers. So wasteful of my time. A terrible face forward in customer service. I can't even believe the treatment that I have gotten and continue to get from American Express. I am only still with them because all of my business expenses are organized with them on a single card. My complaint with American Express and their service is that they never get back to you. I have about a dozen calls into them. They always say they will call back but they never do. I get different stories and offers every time I contact them. I have countless hours into trying to resolve a single issue with them. They baited me into upgrading to Platinum to get 50,000 points if I $10k with them in a year. The truth was that it was $10k in 5 months, which is in no way doable for me and in no way would I agree to such terms. When I called to complain I got the runaround. Every time. Many many hours into this. Someone name Justin MacDonald out of Arizona finally called me back. He was supposedly a supervisor. This matter started in August and it is now October and still isn’t resolved. I’m actually on hold with American Express right now as I type this. This rep’s name is Chelsey. She says she will resolve it for me. Yeah right. Promises promises. My cell phone says 34 minutes and counting. Unreal. I should take a snapshot of all the calls placed to American Express from my cell phone records and pop them into a single screenshot. It would be a jaw dropper. I don't have the time. American Express ate it all. Do yourself a massive favor and get a card from a big bank that pays you even more reward points. Their customer service or lack thereof is dreadful. It’s not right to treat people like this. American Express is an exhausting company to do business with if you have an issue. My daughter received a card from American Express without a chip. Then she received one with a chip. Then she left the country with her card that has a chip. Yesterday, she received another card with a chip and the letter stated the old card would be deactivated. I then called Am Ex, had to go through customer service, which took 45 minutes, only to be informed she had to send me to the fraud department. Apparently she didn't tell the fraud department anything and the department can't get the notes from the customer service department (stupid) so I had to waste another 45 minutes repeating the same information. Neither he or customer service told me she already had a card with a chip, and I didn't know until I texted her after they decided they needed to send her a new card and would DHL it to get. After I texted her and told her to expect a new card with a chip, she texted me that her card had a chip. So I called Am Ex customer service to find out why they sent her another card with a chip when she already had one. I could never get a straight answer. This woman told me that the new card they were sending had the same account number and she was "good to go." I asked her if it had the same cvv number and she finally said no after saying it didn't matter because she was "good to go," again. I said she wasn't good to go because the card she already had would not work after 90 days because the new one had a different cvv number. I asked her what would happen if the card they were sending got stolen? She said they would take off any fraudulent charges. I said that was not the problem because she wouldn't have a card. She repeated she was good to go again, like a broken record. I again asked why no one had told me she already had a chip card, and she couldn't answer. I asked them to cancel the new card and just let her keep the card she had. She said it had already been sent out. I said you could still cancel it and let her maintain her chip card. She said no. If they had bothered to do their jobs above the minimum, they would have noticed she already had an American Express chip card, and they stupidly sent her another for no reason. Incompetence at the highest level. Again, the right hand doesn't know what the left hand is doing because they divide up the departments into cells, where each department only gets certain information, and they outsource their customer service, so you are not ever speaking to an American. The fat cats at American Express do it so they can get bigger bonuses at the expense of their customers. I have tried several times to speak with representatives at American express to get charges they have billed me that were paid in May, June, July that are charging me with pay over time. I called other 3 days to get these remove last month. They credit them last month but have been charged back to my a count this month to pay over Time. I believe someone is trying to take this money! I am going to cancel my card and make sure other are aware of this situation. I'm thinking of reporting this to north Carolina's BBB and turning my bill over to a lawyer. I am evening charged 327 dollars for bills I paid in past statements! I believed they were a good comp a nylon until I couldn't get anyone to listen to my complaint. I o my have around750$ charges for the month but they are charging me the extra charges. I made a purchase from "swimsuits for all" using my amex card. I received the item, but unfortunately it was too small. I returned the item for a larger size. I received the larger size, but I was never credited for the returned item, so I was charged for two items on last months bill. Now this month I received my Amex bill and there is another charge from swimsuits for all. I purchase a 2008 Chevy Malibu with my American express card. And I spent 6690 come to find out the car was a lemon so i contacted the BBB and consumer affairs and. American express about this charge 9 times since July 22 2015 and I returned the car to the dealer. And I never received the title for the car and I also send the warranty papers to american express and all the paperwork for the car sale and I am keep getting told there is nothing else they can do to help me I am out of 6690 and a car. And I still have pay it back. I am ready to leave American express because they help there card holder when it come down to thing like this I never had a problem. Like this before and I have three other credit cards. And when came down to a dispute they did their best to help me and got the dispute resolved in my favor not American express and I am going to fill a lawsuit against amex and the car dealership. I sent an inquiry a second time 4 weeks ago by email to the Amex email help desk. To date I have never heard from them. I would like you contact them and what the problem is, like are they short handed and need additional employees? I have been a Costco member for over thirty years. We live in Ontario for 4 months a year, the rest of the year in TucsonAz. We love Costco and are surprised at the Gueloh stores lack of concern for members. In June, Costco in the States cancelled its Amex card which we used as our ID, to Citigroup Visa. We don't have our Visa yet, as it arrived at our house while we were in Canada. Costco.ca switched to MC. We do have our ancient membership card with us but we didn't want to drive 40 minutes to Guelph and find we couldn't use that card to enter and shop. Do we need the new MC instead of the new Visa to shop in Canada? If so we shouldn't need to register? In the past we would use our Amex card to shop at the Costco.ca in Kitchener without a problem. Can you answer this straight forward question that The Guelph Costco has refused to address? At 1pm I spoke to Agent Joshua B2 to whom I told that my computer keeps "spooling" between pages - meaning that if I want to go from page 1 to page 2 of an article, I would get a spinning blue circle but not page 2 right away. He told me a tune-up would cost $39.99 and I told him fine. He switched me to Agent Geralyn who proceeded to take the next 2 1/2 hours to do various things to my computer only to have it not fixed at the end. She then proceeded to tell me that while my processor is big enough, the processes aren't - whatever the hell that means. One or the other, or both, should have been able to tell me that in advance and not waste my 2 1/2 hours and $39.99 (for which I will file an American Express dispute tomorrow. Am waiting for a call back from a supervisor now. They lied about refunding airline fees when in fact they did not do so when I called. Called Amex corporate to find out information about paying off my balance. Was transferred 3 times because (outside the scripted questions) no one could help me. The third rep, put me on hold without telling me, and never came. The question? "Are there any pending charges I need to be aware of prior to paying off my balance". Kinda glad I'm paying them off. Great service but, if you have a non scripted question, you will have frustration and issues. I have one of the old American Express debit cards; there was once no monthly service fee, but a few months ago it went to $4.95 per month. I was fine with this until I decided to start cutting out cards that really didn't matter much, and this was one of them. And I decided to go ahead and get the SERVE card which only has a $1.00 per month fee. I have now spoken to three people with American Express, asking that the account on the old debit card be cancelled as I won't be funding it any longer. There is a balance of $2.58 for which I just asked them to refund me that so I can be done with it. Each of these people (all of whom are likely outsourced reps giving me a pre-written script) have given the same excuse: just take the card somewhere, make a purchase, and then have the cashier, etc. take $2.58 off the top and then pay the remainder as I wish. I've told them that this is somewhat of a hassle since they could just simply refund me the amount in a check and be done with it. I will still be a customer with them thru SERVE. But instead they make excuses such as "But you won't have your $2.58 to use for upwards of 20 business days" and "But do you want to lose your purchasing power..." Is it really all that difficult to simply do as I ask? At this time, I will likely just take the card to my neighborhood salon, ask them to make the transaction when I pay my bill and be done with it. But this is ridiculous that it has taken me three phone calls and have spoken with three individuals who behave as though their lives or jobs are on the line if they refund me this $2.58! I know they will have to pay for cutting the check and mailing it to me, but consider part of the $4.95 per month service fee I've provided them these last few months. I applied for a new American Express credit card in March of 2015. I was changing from a previous American Express card to one with better rewards for us. I specifically asked the young man if this would affect my credit score and he assured me it would not. I did not want the average time of having credit to go down. I take my credit score very seriously. My credit score dropped 15 points and it took me awhile to figure out why. I'm not sure how I can rectify this now. You're an over $34 BILLION corporation and should train your staff better. It's taken me over a year to get back to 804 on my score and I'm still 7 points below where I was before. If you keep audio tapes, please go back and check what I've told you. I bought a Stressless chair from Florida Leather Gallery in Bonita Springs, FL. on March 3, 2016. The chair was delivered to our home for our try out. After a few days of trial we did not like chair. Steve Friedman, Store Manager, Phone Number: 239 948 2889, arranged to pick up and return the chair on March 31, 2016. The amount charged to my credit card on 3/3/2016 was $1,902.70. American Express had a dispute investigation and did not return my $1,902.70. When I called American Express on April 22, 2016, I was notified the merchant had not called America Express and American Express would not return my $1,902.70. I wanted to know the name of the manager dispute resolution. The person on the phone refused to provide the name of the manager. I have been a loyal customer with American Express over 5 yrs paying my account in full until the last 8 months. I spoke to an American Express representative each month over the last 8 months to make payments and never once was I informed by any of their representatives that my account was receiving an interest penalty payment. My interest rates were doubled and I have no idea and no one bothered to tell despite months of telephone payments. No one bothered to tell me my account was in a penalty state. Until I inquired as to why my balance wasn't really changing despite multiple payments. Then I was told that in the last 6 months this American Express company had added over an extra 2000 dollars of interest to my account. I found this organization to be very unprofessional uncaring and unhelpful in resolving the matter. I will never recommend this company to anyone. I work in the accounting department at DFINE Inc and I am filing a complaint regarding your reporting department. I did not received my monthly scheduled "Cyclic Statement Recon" report as of today 4-5-2016. When I contacted AMEX, the customer service rep, Sona, told me the report delay was due to not getting all the vendors information. Sona also mentioned that it will take 24-48 hours for the report to be available. This is the second time the report has been delayed. The first time, customer service rep told me it was due to the holiday and now this different excuse. I'm very frustrated as this is quarter-end close and I need the report to reconcile the March expenses. Now I have to manually generated the spreadsheet from the AMEX statement for all 5 corporate cards. Also, I did not get any communications from AMEX regarding why the report was delay. How very unprofessional!! I am on a 3-day month-end close schedule and getting this cyclic report 48 hours later will not do it. Payment was charged to my AmEx card AND my bank card in the same month. Virgin Mobile told me I never paid and suspended my service in January 2016. I have been a customer of American Express since 1982 and have spent millions of dollars with my cards primarily for business. My company closed down in November and I called Amex to ask for extended payments. I was granted a hardship payment plan of $1470 a month and have made payments since December 2015. I received a notification from Credit Secure that late payments were being reported by American Express on my account and reported to the Credit Bureaus. I called Amex customer service and was routed to India where I was told that there was nothing they could do. American Express advertises itself as being consumer friendly and a good corporate citizen. If this is an example of customer service then the entire corporate structure needs revising. I have been a customer for 34 years and when I encounter a difficult financial period and make arrangements to pay the bill over a period of time my difficulties are compounded by my credit score being ruined. I intend to pay off the remaining balance within the next 60 days a soon as my tax refund comes in. Opened a Bluebird account. Loaded Money. that night in a severe wreck.All my personal items were lost / Stolen. I called canceled it. Replacement card sent.During this more charges were used and disputed. I was granted money from the disputes were in my favor. Knowing i had my identity stolen and my online access locked several times for attempted tries. so instead of suspending the entire account as i asked they closed out another card and sent a replacement that went to a wrong address and was activated and used along with getting a wire transfer of 400.00 from my account. I have called and called the line drops or i get told that you are done with me and its all cleared. When i have none of my money or being able to use the credits in my favor due to American Express not taking concern for my identity.I want a contact i will call everyday until i get my money I am owed and if the attorney takes it. I'm going in for more payout and also was told i could not get copies of the account as it was illegal when it is my account. I want answers now. I have been attempting to insure this charge is deleted from my American Express card and getting routed to a complaint form that is not satisfactorily handling my complaint. The answer to my complaint is shown below and listed as "closed". This is not satisfactory to me. The charge is not something I could not afford but I am determined to let these cheats get away with lying and then substituting an inferior product. I bought two American Express Gift Cards from CVS, they were scanned and I paid for them, a $25.00 and a $50.00 Gift card and sent them as Christmas presents. Imagine my embarrassment when I was informed by both recipients that the gift cards were no good even though I had the receipt they were activated. How shocked I was to discover CVS' negligence and lack of concern with my serious problem, to say nothing of the time and effort I expended to correct CVS's mistake. I went back to CVS and they refunded me for the cards with the store manager saying to me "lucky you had the receipt or there would be nothing they could do" (and I would be out $75.00). To show your good faith and apology, I would appreciate receiving a $75.00 gift card to the store for all I have gone through which was most unnecessary and embarrassing to me and the gift cad recipients. 1/25 I discovered a 2k payment I made to AmEx had been duplicated online by my worthless bank, (same timpstamp) and effectively wiped out my bank account. I called CS from Spain where I was stranded w/ no money. Any CS would've returned the money to my account. I'm a good customer. Nope, "we NEVER DO THAT" you have a $1,625 credit w/ AmEx. Unfortunately, like most other foreign countries nowadays, my LANDLORD doesn't take AmEX. After being batted around to Global assist who were going to send me $2,000 worth of euros to their non existent office in Madrid, I got kicked back to CS who took a routing and bank # to wire$ into my account by Friday the 29. NOT. Lie. Friday. Yes, it's being wired, should be there Monday. Monday. No, we don't do that - 7 days maybe. Why should I believe you I'll call you back. I had to transfer $ out of my credit union savings to pay my rent. I' still waiting. Feb.2 I called the local ABC news station. I'm done! We have a Bluebird account for my son who has learning disabilities. We live in RI and he is going to a special school in Fl. We have been using the Bluebird account as a means of providing him with an allowance and it has worked well for us. Recently we tried to deposit additional funds onto the card and were unable to do so. Numerous call and re-attempts were un successful. We were recently advised by a supervisor that there had been too much activity on the card and we had to close the account. This makes no sense and we are very disappointed in the level of help we have received. We have an American Express account but based on this experience we may close that account. Amex customer service was incredibly rude to me on the phone. 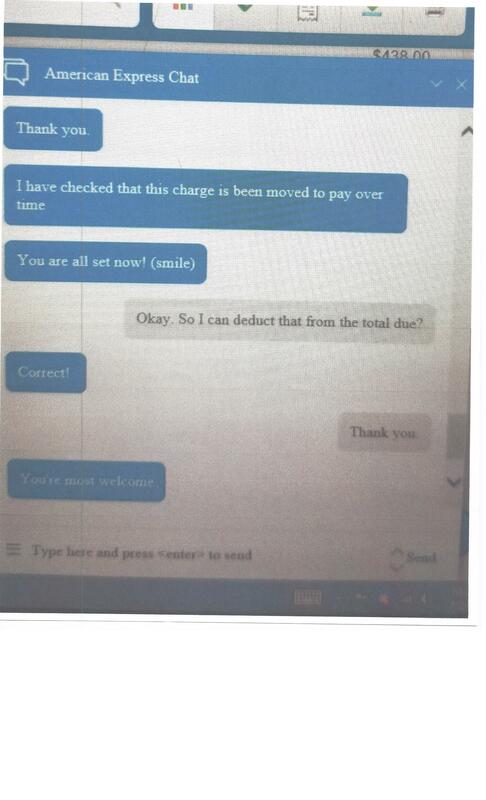 They claimed there was no problem with my billing when I clearly showed them charges that should not be there. Maybe I should switch to VISA next time? I keep getting requests in my snail mail asking me to sign up for American Express. Inside my latest unsolicited mail, I didn't notice the plastic card inside the envelope and it clogged my paper shredder. I have more mechanical ability than the average human being does and I managed to fix my shredder...but it took me nearly an hour to to fix it properly. Getting to MY bottom line: I will never sign up with ANY credit card company that has zero regard for my privacy. In other words, I will not do business with American Express no matter how many times you send me your crap! Ordered American Express gift cards for Christmas three times all of which were declined by American Express. Called AMEX customer service 5-6 times with absolutely no help (wanted to give 1000 bonus point comp, so what). American Express has gotten too big for itself and does not care. I am about to cancel my Platinum card and stick with Visa. To think I actually pay to carry their card. 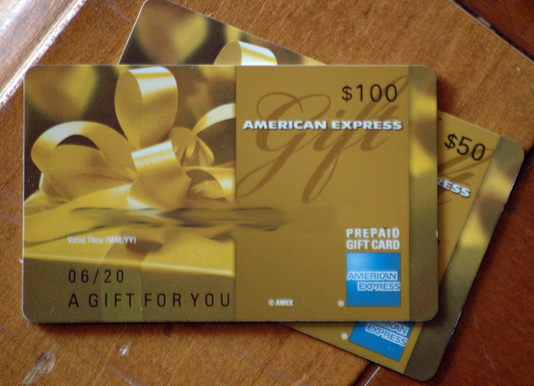 Do not waste your time with American Express gift cards. Ref# PC45934 abd PG67876. You should have this dispute information on your files. On 8/16 I purchased 3 tickets on line for a concert on 10/7/2015. When I ordered the tickets they said the price may vary from the original price but no where on their site do they mention what the actual cost was. 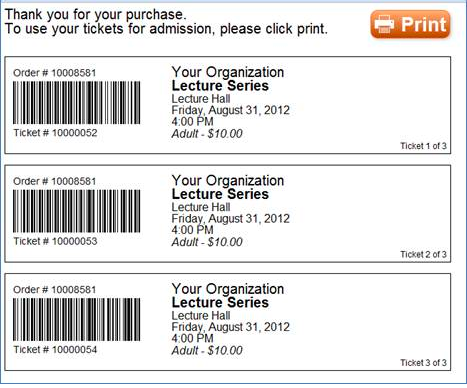 When I printed the etickets on or around 8/19/2015 I discovered the original price of these tickets was only $49 apiece and they were charging me $101.00 apiece which is ridiculous. I tried to get in touch with them to get my money back and couldn't, thus turned it over to American Express. Your research team came back with garbage I already knew and they said all purchases are final. I consider being charged more than double the original cost is a reasonable extenuating circumstance and should have been refunded my money, that is why I have you guys. To make matters worse, you notified me by mail (letter dtd 10/5/2105) which I received on 10/9/2015 2 days after the concert so I didn't even get to go. This is unacceptable and a hell of way to treat a customer of 33 years. I refused to pay this charge of $382.67 for your incompetence as my representative. No complaints with Costco, but for the second time this past year we have been cheated by American Express re payment of our Costco credit card bill. Here's how: We pay our credit card online to American Express. Twice we've received Thank You following submission of our payment that the payment was received and would be forwarded to our bank, Wells Fargo. However in each case, when we received the next month's American Express bill, it showed the previous month's payment had not been made, and that we had been charged a $27 late fee plus interest. Obviously in each case, American Express did not forward the payments to Wells Fargo in order for them (American Express) to collect the late payment plus interest (we always pay off our balance each month, guess they didn't like that). You can check mine and my wife's (Alice) credit ratings and you'll find them to be both in the 800s. We've had great experience with Costco. Shame American Express has damaged that trust. Thank God you're (understandably) switching credit card companies next year! I can't believe how they an American Express company, mind ( American)...allows non American people to work in the customer service department! They know nothing of the American heritage or of American customs... I was treated like they are seeking revenge for some secret agenda. Their lack of caring and cheap payment for work has taking its toll... Hire Americans ... I was cheated out of my money and made to wait 10 bs days for a check in the mail; for a lack of intelligence... Just because they are Asian or middle eastern doesn't give them the right to dismiss us Americans using American express.... I'll never use another another express card and will urge my friends and families. On 9-16, I ordered a chili's card/voucher using 2500 points. As of today I did not received my reward, however 2500 pts have been removed from my account, would like very much to receive my reward, or if unavailable, have 2500 points credited to my account. I have tried to contact corporate at Amex but have been unsuccessful. Really frustrating. I am unhappy with the forced American Express card change requiring the chip implant. Customers are not allowed to opt out and, allegedly, removal of the chip will render the card useless. I spoke to numerous customer service reps and supervisors who all proceeded to argue their side rather than seek an amicable resolution. You can call 866-524-8196, ask to speak to customer service rep, and/or file a complaint to let them know exactly how you feel! Why do we pay more for these guys? I paid for a service I never received and they refuse to refund and American Express can't and won't do anything. Cancel Amex? Yes. They are useless and cost too much for no reason. Thank God, even Costco is dumping them as am I.
I have a gold card and applied for the platinum card. It was approved and I expected to receive a card on or about 4/24/15. My add-on cardholder received a card but I did not. I called Amex to let them know thinking the card was lost. They agreed to send out another card on or around April 30, 2015. Again I received another card for my cardholder but I did not receive a card. I called Amex again to let them know I still did not get a card. I finally talked to a supervisor and she assured me she would send a card to my office the next day which was May 6, 2015. Today is May 7, 2015 and I just got off the phone with AX and nobody knows where my card is. I still do not have a card. Now I am told that it will take 24-48 hours for someone to trace the card. This terrible service coming from Amex. What keeps happening to the cards? If I could rate this company zero stars, I would. They use your personal checking account information with a third party company to redeem your cash back rewards, without your consent. One of the reps slipped and informed me when I called to find out where my cash back was after waiting 3 weeks. I am reporting them and closing out my account. Not to mention, they never honor your points. It's all a scam. System error on their side kept running a scheduled payment over and over... $1300 worth. Then customer service (India) had me on line for an hour only to not call me back. Very poor service from American Express. Have feedback for American Express?